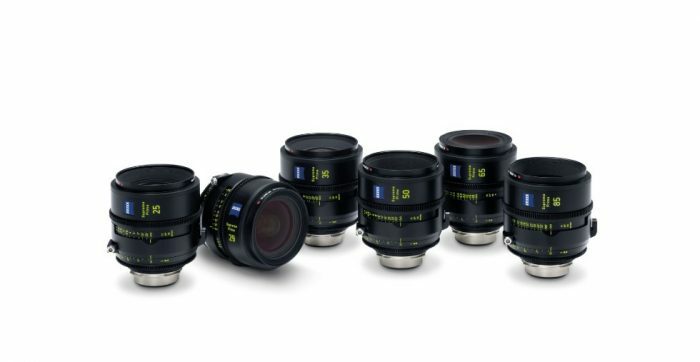 High-end cinema lenses ZEISS Supreme Primes: The image shows the set of six lenses, the remaining focal lengths will be released successively until 2020. The first ZEISS Supreme Primes lenses with focal lengths of 25, 29, 35, 50, and 85 millimeters are available starting on August 1, 2018. The ZEISS Supreme Prime 100 millimeter will be available in December 2018. The set of six lenses, consisting of the focal lengths mentioned above, is available from ZEISS Cinema lens dealers for 108,000 USD. The remaining focal lengths will be released successively until 2020. For more information, please visit http://www.zeiss.com.